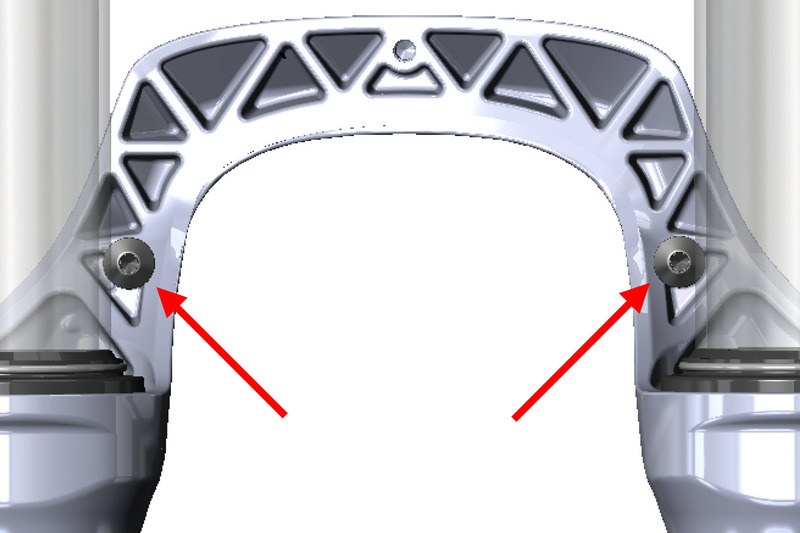 Using a 3mm allen key (ball end recommended), carefully thread in the 2 snap-in bolts into the lower holes on the rear of the arch and torque to 3Nm. Once these have been installed these bolts do not have to be removed. *Be careful to not scratch the stanchions during installation. 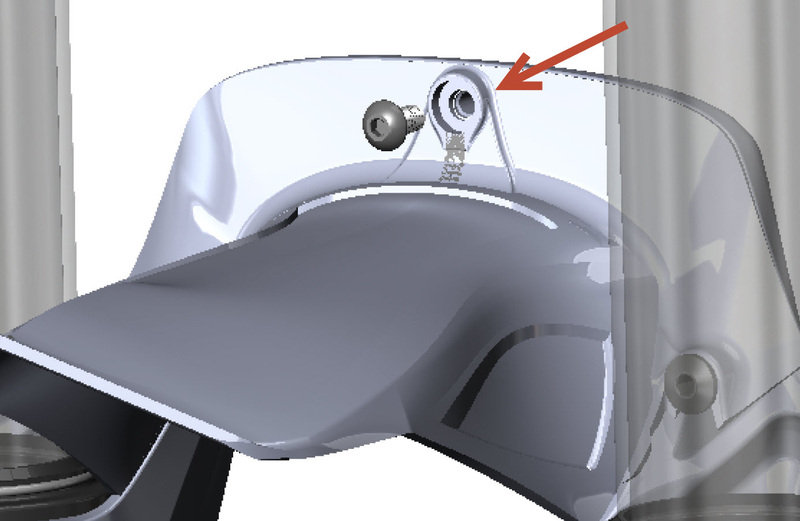 Line up the fender with the snap-in bolts and press down until secure. Fender will “snap” into place. 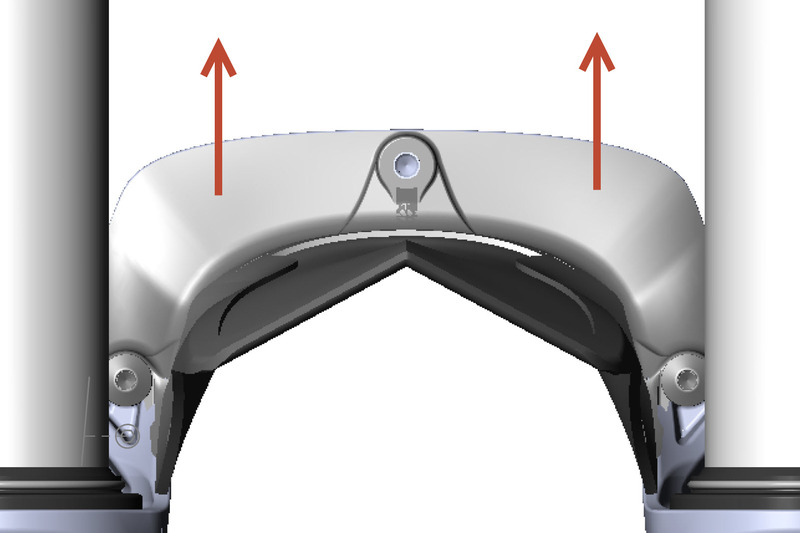 BE SURE TO APPLY PRESSURE OVER THE MOUNT BOLT AND NOT THE TAIL OF THE FENDER. 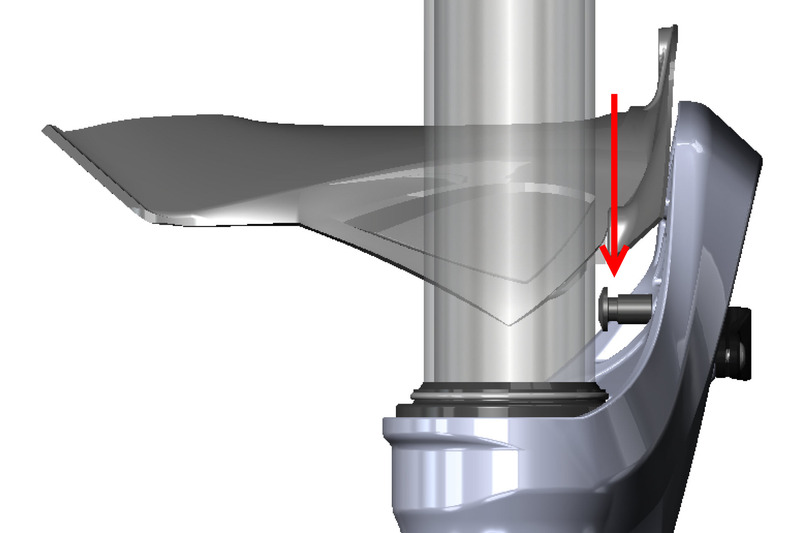 Using a 3mm allen key, insert the fender mount bolt into the center of the arch and torque to 3Nm. There should be no play between the fender and the arch. Unthread the center mount bolt first. Then pull the fender upwards to release it from the lower snap-in bolts. DO NOT PULL UP on the tail of the fender. 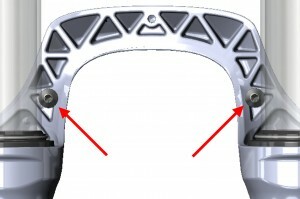 The snap-in bolts will stay threaded into the arch.